It is still unknown whether the two fires that sparked a massive forest fire just west of Bend were set intentionally or accidentally, but a year ago, fueled by dry wood, those two small fires quickly spread and eventually combined as the Two Bulls Fire. For a week, flames raced over 7,000 acres—a space equivalent to the zone encompassing the Old Mill District over to The Lot, throughout downtown and across to Pilot Butte—and reaching nearly 100 feet tall, a height taller than the Franklin Crossing Building downtown. On the western reaches of the city, some 250 residents were evacuated and hundreds of others considered if they, too, should get up and go. One homeowner recently reccounted how her family gathered up their photo albums and bicycles—the things that mattered—and moved those valuables to a friend's house further east. Ultimately, the Two Bulls fire did not burn down any houses, but it did move within seven miles of city limits, an easy bike ride away or a distance that a fast moving fire could cover in an afternoon. 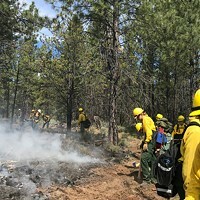 Most experts and Forest Service agents agree that such scenes are likely to become more common in the upcoming years, and this summer, in particular, poses incredibly high risks for fires burning into cities like Bend. It is what is known as a perfect storm—a confluence of multiple threats, each menacing enough on its own, but more than doubly bad when combined. According to presentations by John Saltenberger for the Northwest Interagency Coordination Center, which reports to the Forest Service, the outlook for fires this coming summer is dire. The general rule of thumb is than a single degree increase in average summer temperatures has a corresponding jump in 400 additional forest fires each year, and it is expected that average temperatures in Oregon will continue to rise by roughly 2 degrees by 2030, and 5 degrees by 2050. Already, the number of wildfires burning each year in the state has almost reached 2,000—with the so-called fire season stretching an additional two months since the 1970s, roughly from late May into early October. 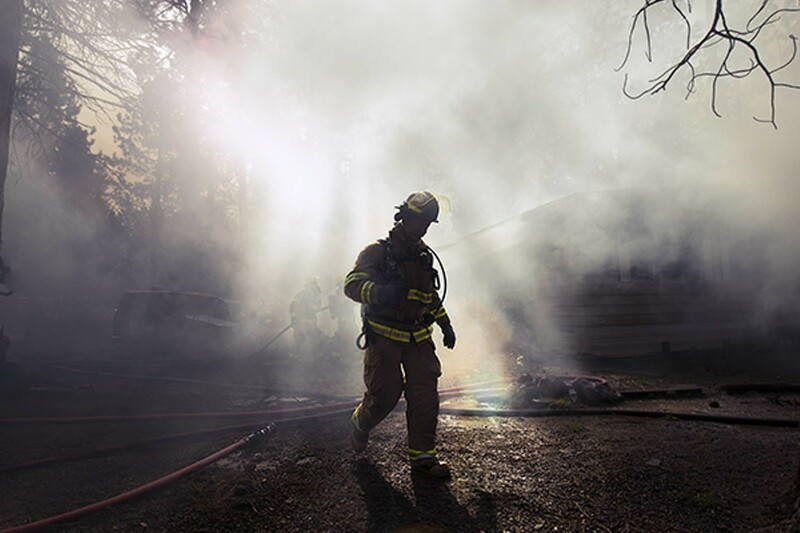 If predictions are correct, the number of fires could reach 3,000 annually by 2030. Coupled with snow packs this past winter measuring just a fraction what they have been, and a high probability of increased lightning strikes in June, due to El Nino's impacts, Saltenberger predicts that forest fires this summer will be "well above average." During the summer months, Central Oregon is a tinderbox dry landscape, with acres unmonitored from camp fires and lightning strikes. What makes the region more vulnerable to forest fires is that hundreds of private residential homes sit adjacent to massive tracts of federal land. 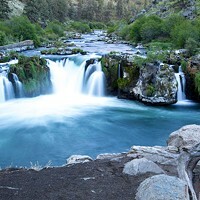 "According to the Forest Service, 50 to 90 percent of the firefighting costs go towards defending homes," explains Headwaters Economics Executive Director Ray Rasker. A study published two years ago by Headwaters Economics pointed out that trends in home building are heading in a dangerous direction. The data collected for the study considered home building in 19 Oregon counties in zones they termed WUI—or, within "wildland-urban interface" areas. These are the highest risk areas—the ones closest to forests and, as such, the ones that require the most protection when fires break out. The trends are counterintuitive: Since 1990, the number of homes destroyed by forest fires has tripled, yet the number of homes being sited in proximity of danger has steadily increased and, even more specifically, within the range of the Two Bulls Fire, a middle school had been proposed on the city's far west side. "I think it's a weak straw man for anyone to say 'stop development,'" contends Rasker. "That will never happen. But we can certainly build safer. Local governments have the authority and responsibility to require—as a pre-condition for subdivision approval—requirements to make the land safe from wildfires through ideas like fuel breaks and landscape treatments to reduce fuel loads. Local governments should also reward developers who do the right thing." Moreover, these vulnerabilities are set within a larger federal framework. According to a 2013 Forest Service study, wildfires in the western states are expected to double by 2050. This is particularly bad news in terms of what funding is currently available to fight and prevent forest fires. In the '90s, the average annual cost for fire fighting and prevention was almost $1 billion. Since 2002, that number has swelled to $3 billion, according to the General Accounting Office, with half going to protect private homes. To support those increased costs, the federal government has been robbing Peter to pay to protect Paul's house; that is, with increasing frequency, federal agencies have been pulling fire fighting funds from fire prevention accounts, not to mention pulling funds from accounts for maintaining trails and campgrounds. For the past several years, a collection of U.S. Senators from western states have been lobbying to remedy this unsustainable funding system. Sen. Ron Wyden, D-Oregon, (chairman of the Energy and Natural Resources Committee) along with Sen. Mike Crapo, R-Idaho, have been at the forefront of an effort to overhaul the funding system so that it operates more like the Federal Emergency Management Administration (FEMA). "This is about as common-sense as it gets," explained Sen. Wyden a year ago when he was urging President Barack Obama to adopt the changes. "Congress needs to fund the biggest, most catastrophic wildfires like the natural disasters they are, and free up funding to break the destructive cycle that underfunds fire prevention and shorts fire management." He added, "This bill ends that cycle, puts money back into prevention, and provides the resources agencies need to effectively protect rural communities and forests." But that solution has yet to happen, and when Sen. Jeff Merkley stopped by the Source office a month ago, he explained that there has been resistance from states in the Midwest and southern flood zones and tornado regions, who worry that funding for forest fires will threaten funding for their natural disasters. On Thursday, May 21, Ray Rasker will speak about "Planning for Wildfires and Development, Inflammatory Economics," at City Club of Central Oregon monthly forum.